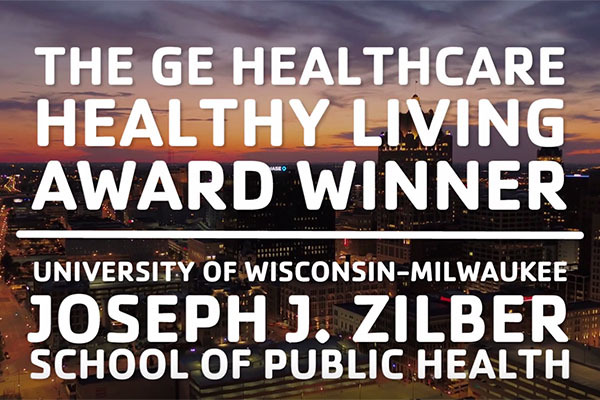 The UWM Zilber School of Public Health has been named as the recipient of the 2019 YMCA Healthy Living Award. “We are humbled by this prestigious recognition of the Zilber School of Public Health. We accept this award with gratitude and a commitment to continue to strive to honor the spirit of the Y’s Healthy Living Award,” said Ronald Perez, interim dean of the Zilber School. The Zilber School was honored at the YMCA’s annual Dr. Martin Luther King Jr. Celebration Breakfast, attended by over 600 civic, business, community and faith leaders. Work in the Zilber School of Public Health includes improving health equity, social and environmental justice in both regional and national communities, advocacy for health-promoting policies and more. Faculty and students within the School of Public Health also conduct research initiatives in areas such as mental health, obesity and infant mortality through collaborations with local groups and individuals. The Zilber School of Public Health is one of two institutions being honored for their longstanding commitment in supporting health, wellness and inclusion.